We proudly engage ourselves in manufacturing and exporting any kind of fabrication which is related to Fabricated Wire Mesh. With clients increasingly opting for customized fabrication we serve them with a wide range of fabricating articles. 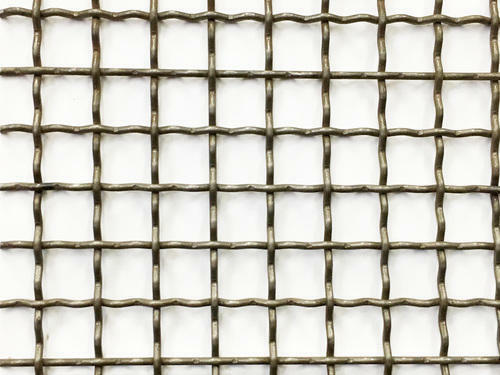 We make use of any kind of metal for production of these Fabricated Wire Mesh. We AMAR WIRE MESH INDUSTRIES based in Maharashtra, India, engaged in manufacturing and exporting Screen Cloths, Rubber Beads and Wire Meshes. Use of advanced technology and high quality raw material helps us in delivering supreme quality products like Woven Wire Mesh, Vibrating Screen Cloths, Wire Mesh, Stainless Steel Wire Mesh, Galvanized Steel Wire Mesh, Crimped Wire Mesh, Square Wire Mesh, Knitted Wire Mesh, Woven Wire Mesh, Rubber Beads, Industrial Clamps and Vibrating Screen Cloth to clients. Our highly experienced and skilled staff contributes a lot to the growth of the company. We have mustered client base across the Globe.